Why You Feel Guilt, and What to Do with it! Are you experiencing ‘Neurotic guilt,’ ‘Normal guilt,’ or ‘Existential guilt’? Are You Racked with Guilt? Are you a perfectionist, that no matter how good you become, you still feel guilty for not being good enough? Do you feel guilty because you’re not working hard enough, even though you spend most of your time at work? This guilt might just be your salvation ... if you attend to it! Sometimes we can feel guilty for the littlest of things, or from imagined wrong doings against another, from long ago. Breaking a wine glass, watching the wrong kind of TV show, being late for an appointment, or thinking that your friend is too loud, are examples of the most mundane of experiences that can elicit guilt from deep within us. Some would call this ‘neurotic guilt’, harshly experienced, as you have not actually done anything bad! At other times though, we can feel guilty for actual transgressions against another. Causing a car accident, letting someone who is relying on you down, spilling something on your best friend’s carpet, lying to a loved one, or hitting someone! This is termed ‘normal guilt’ where you’ve done something to another, whether you meant to or not. Here of course you can ‘repair’ the wrong doing. An apology, or an explanation where you take responsibility for your actions, can very often deal with the situation perfectly well. However, ‘existential guilt’ looks at the idea of feeling guilty of crimes against yourself. Sound strange? So, how does this look? Well, you may feel guilty of all the possessions that you have, or for ‘moaning’ about your job not being fulfilling, or for not being a good enough friend. You may have an overreaction to a shop worker, or feel overwhelming guilt for your good state of health, or feel guilty even for what somebody else has done! This is existential guilt. Existential guilt means that you have become aware of yourself and your life. If you are feeling this guilt, you are connecting with your possibilities and potential. The ‘Wake-Up’ Call: How do you know what is guilt and existential guilt? No matter what triggers it, this guilt tells you that you are not living as fully as you can. Existential guilt is your call to wake up to yourself - a wakeup call to yourself indeed. At this point in your life, you are not challenging yourself to see just what you could achieve. Rollo May (1909-1994), distinguished American existential psychologist, wrote that guilt is necessary for your mental health. Indeed, when you deny your potentiality for achievement, your movement into existential guilt is expected. Feeling guilty happens for a misdeed caused by a discrepancy between our behaviour and our standards. It passes through changing a behaviour, apologising or rectifying the misdeed. Existential guilt is consistently around you, and within you like an atmosphere. It may show up in an overreaction, or a generalised feeling or mood. To get you closer to your own relationship with this kind of guilt, think about when you have experienced ‘regret’, or ‘self-contempt’. These are powerful signs that existential guilt is present for you, and the only way to ease this is to re-find you, and live your potential. Just check out if you are turning away from existential guilt, from the wakeup call to yourself that you are not living as fully as you can. Plunge yourself into yourself, look at who you really are, and the guilt will ease. Bring yourself back to you, be honest with yourself, and you my just find that ‘guilt’ is your salvation. 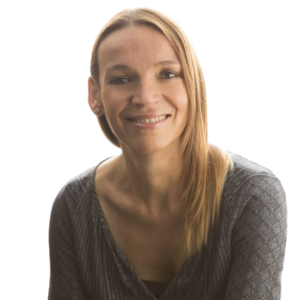 Sandra is a UKCP registered Existential Psychotherapist and Counsellor. She has nearing 20 years of experience as a therapist helping people through various difficulties. Her research interests include weight issues, body image, eating disorders and trauma. As an advanced practitioner of Inner Child Therapy, she works with trauma of various kinds experienced from childhood. Sandra teaches, lectures and runs workshops across Europe.